Smart devices such as smart speakers, mobile devices, personal assistants, smart thermostats, smart security cameras and similar have entered the consumer market during the last couple of years. More and more household appliances are getting connected to the smart home network. Most of those devices have an audio interface, such as built-in loudspeakers or microphones to interact with the user. Some of them even deliver impressive audio quality. The number of smart devices produced is rapidly growing in this emerging market. In a traditional microphone test, the microphone under test is placed at a fixed distance from a calibrated signal-generating speaker. 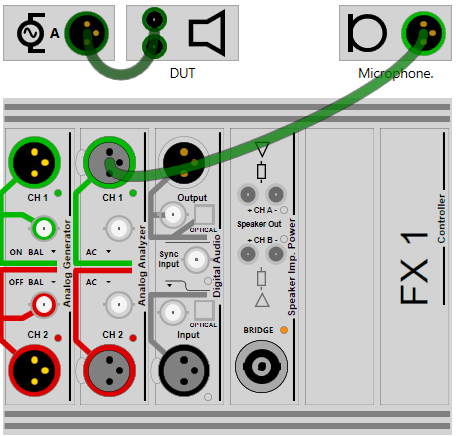 The signal received by the microphone is fed directly into the Audio Analyzer, producing the results. In a traditional loudspeaker test, the loudspeaker under test is placed at a fixed distance to a calibrated measurement microphone. A known signal is played by the loudspeaker, received by the measurement microphone, and fed directly into the Audio Analyzer, producing the results. These two traditional tests are known as “Closed Loop” circuit tests. The test signal comes from the Audio Analyzer, passes through the signal chain of the device under test and back into the Audio Analyzer with little or no delay. However, when testing smart devices, a closed loop measurement is often not possible, as those devices don’t have designated audio input and output connectors necessary to interrupt the signal chain and separately measure the microphone and the loudspeaker on the device. That is, we can’t get direct access to the wires at the back of the microphone or the loudspeaker without potentially destroying the device. The solution is to use an “Open loop” test setup, where, for the microphone test, the results are recorded by the device under test (DUT) itself, and, for the loudspeaker test, the test signal is produced by the DUT itself. Let’s see how this works with an example. The DUT for this article is an Amazon Echo Dot, one of the most popular smart speaker models on the market. The concepts discussed here apply to any kind of smart device. The Amazon Echo Dot device contains both a loudspeaker and a microphone array that can be tested individually in an open loop configuration. A Notebook or mobile device to access the Amazon Echo Cloud services. The DUT loudspeaker is tested with the M2010 microphone placed above and centered on the Amazon Echo Dot. Since we don’t have a designated audio input to inject the test signal electrically, we need to find an alternative. There are two ways to play a suitable audio test signal on the Amazon Echo Dot loudspeaker; from the media library or via the Bluetooth interface. The Audio Analyzer plays the pre-recorded voice command “Alexa, ask my media to play TestSignal” through the loudspeakers near the DUT. 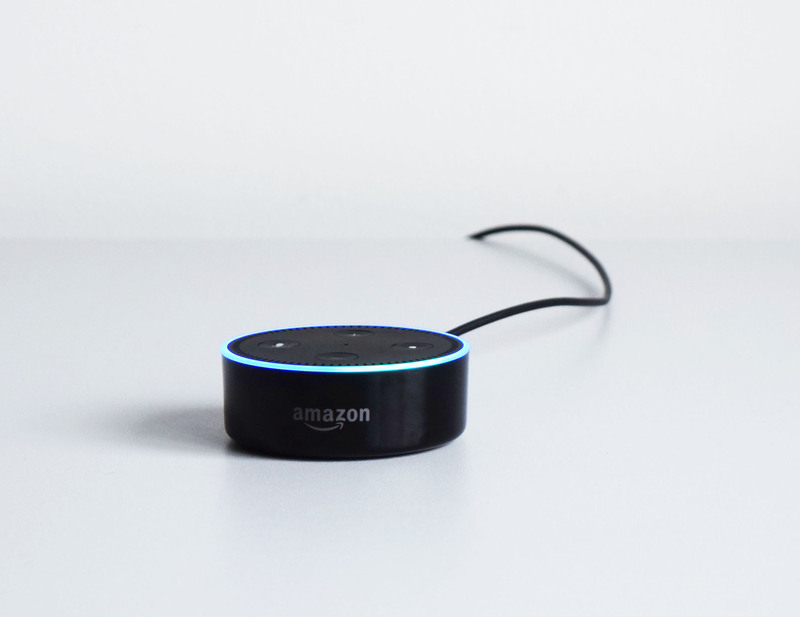 The Amazon Echo Dot detects the voice command through its microphones and responds by playing the “TestSignal” track from the media library through its own loudspeaker – the loudspeaker under test. 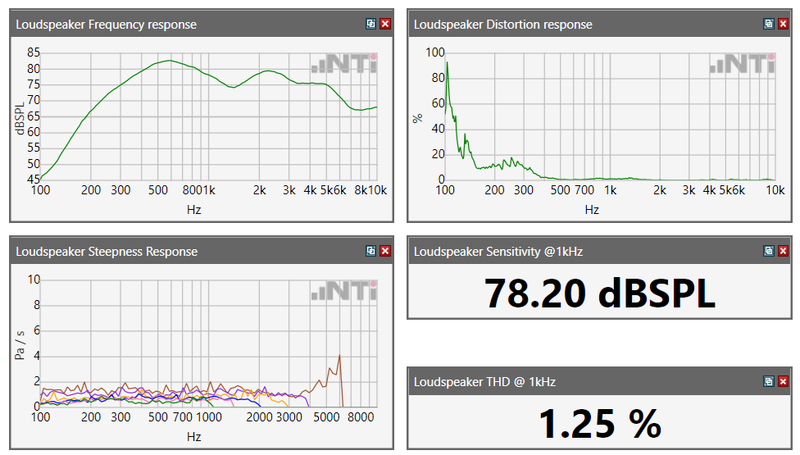 The loudspeaker signal is captured by the calibrated measurement microphone directly into the Audio Analyzer and the measurement results are displayed. 1kHz / 1s sine wave. This is to settle any signal processing algorithms (e.g. automatic gain control). Trigger signal sequence. This is a signal that is recognized by the Audio Analyzer. It triggers the analyzer to start the data acquisition. Also, the trigger signal is used to correct any differences in sampling rate between the DUT and the Audio Analyzer. 100Hz-10kHz / 1s GlideSweep signal. This sweep is the actual signal analyzed during the measurement. All relevant measurable parameters for the loudspeaker are measured in parallel. The “TestSignal” file can be produced directly from the FX-Control software in .mp3 or .wav file format. Alternatively, the Amazon Echo Dot can play audio from a Bluetooth source. Therefore, the “TestSignal” file can be played by the Audio Analyzer and sent to the DUT via a Bluetooth converter. This is a “Closed Loop” signal chain. Unfortunately there is no way to acquire the Amazon Echo Dot microphone signal directly. Therefore there is no closed loop measurement setup available. 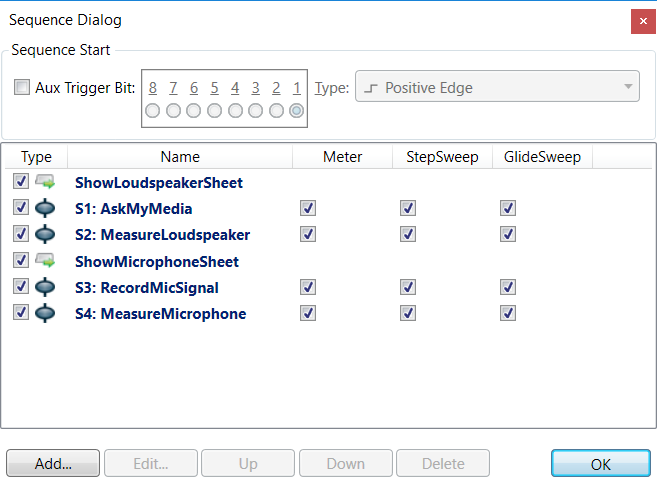 There is, however, a way to record a test signal with the DUT microphone and access that recording a few moments later. Whenever the Amazon Echo Dot recognizes the keyword “Alexa”, it immediately starts recording audio until the signal level drops below the background noise. Furthermore, these recordings are available to the user through the Amazon Alexa app either through a web-browser or through a mobile device. After a few seconds the recording of the test signal is available for playback from the Amazon Alexa app. This signal is played back by the operator and fed back electrically into the FX100 Audio Analyzer. The measurement results are displayed. The microphone test signal starts with the voice recording of the keyword “Alexa” to trigger the recording on the Amazon Echo Dot. After that, the signal has the same structure and functionality as the loudspeaker test signal mentioned earlier. 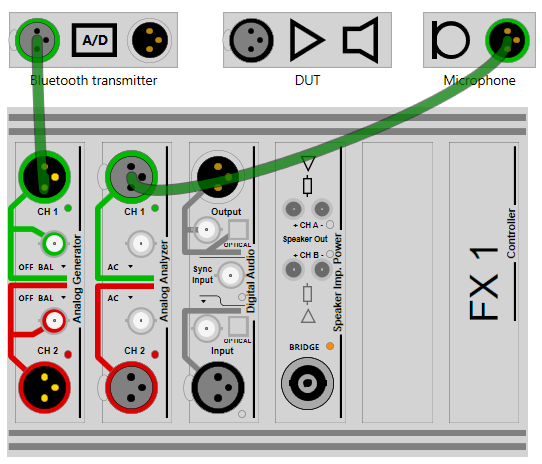 The complete sequence of signals played and measurements taken can be easily implemented into the FX-Control Sequencer. Within a few seconds, the complete acoustic parameters of both the microphone and the loudspeaker in the smart device are characterized. Here’s a link to a video that shows the measurement sequence.